It’s classic Merle performed by Jason Aldean. 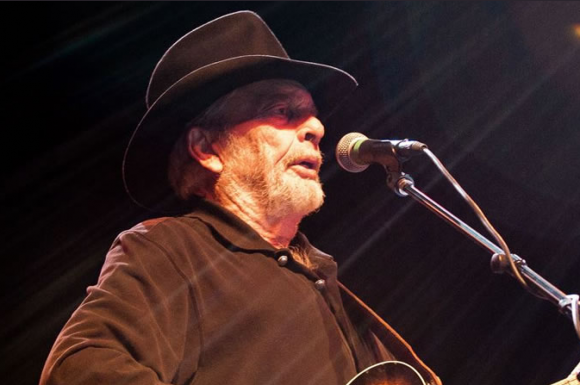 Merle Haggard is one of my favorites. When you look back at his singles discography you realize just how many big hits he’s had over his career. And his career lasted a real long time. I’m sure there have been tribute albums to Merle in the past, but Broken Bow Records has a new tribute coming out and it includes a few of their artists including Jason Aldean. Here is Jason’s cover of a classic Merle song. The fun thing about tribute albums is that you get to hear today’s artists on classic songs. This song is very well known among country traditionalists, but I’m sure that many modern country fans know this song too. It’s played on classic country radio and it’s still worked in once in a while on modern radio. And I think it’s been in a couple movies over the years. Jason does a great job on the track. It sounds like a Jason Aldean record, which is what you want on a tribute, but you still have the influence of The Hag on the track. The production was done well too. It sounds like a classic country record with a few modern additions thrown in there for good measure. I listened to this one a few times. The lyrics are just great. They tell the story of a guy looking back on his life and wondering why some things had to change. There are some images in the lyrics that everybody, including today’s generation, can remember. Great song and a great tribute from one of today’s biggest artists.